I bought 3 radion 15 fw, reeflink, and the mounts. I have had two radions crash (evidently fans stopped working), and the reeflink crash, so that I have to return 3 of the 4 items I spent almost $1,500 on. The reeflink crashed first. Technical support confirmed it was a product problem and that they would replace it. However, what they do is 1) take a credit card and 2) send you a new device (1st the reeflink) along with something to return the defective product. If you don't return it within 30 days, they then charge your credit card (or they do so if the detect water damage). HOWEVER, their policy is to only replace ONE unit at a time. Hence, I cannot send my defective lights in (which went out after the reeflink return process began). So, until they receive the reeflink, I am stuck with 2 lights not working on my 100 gal planted aquarium for possibly two weeks. I expect all my plants will die. 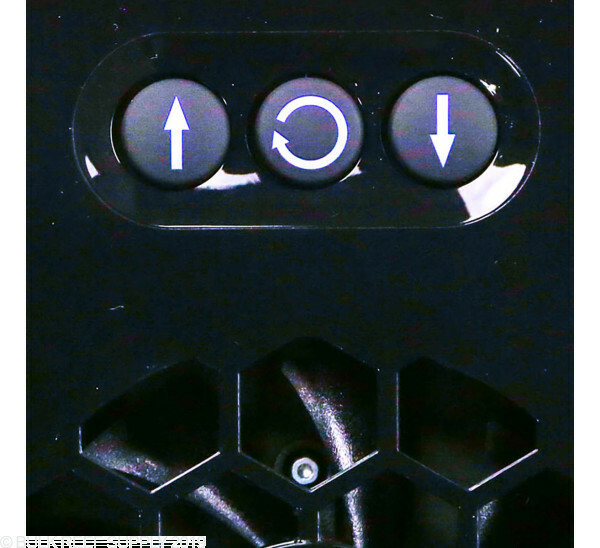 ALSO, the "Eco-Smart Live" systems by which you hook up via USB does not recognize a plugged in device. I went to every fish chat room and found that this has been a chronic problem for years. this was a great light but not strong enough for clams and barley for SPS. And the. Last year on BF I upgraded to a ration and havnt looked back. 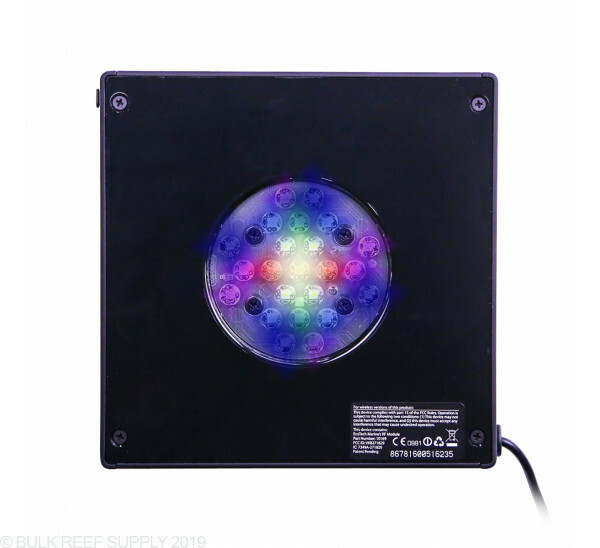 I got the reef link with it and setting it up was super easy, power on and connect to your laptop and you get to choose whatever you want you light to use. I use SPS AB+ and everything loves it. The reeflink does disconnect from time to time but after you program it once you don’t really need it unless you are trying to control from the app. I use an mp10 with the reeflink also and it’s been great bcs I can go below the lowest available setting with the reeflink since I have a small tank. Highly recommend, you won’t regret it. 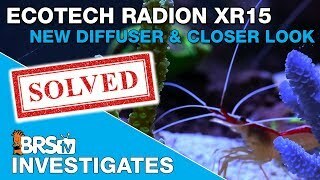 I am running mine for a 9 hrs on SPS AB+ at 22%, I am using the diffuser on my light along with the RMS. 10/10 recommend. I would have given it 5 stars if the software had better instructions. Running 2 XR15's G4 Pro's on my 75 gallon mixed reef. The connection manager would not connect until I disabled my anti-virus software. Once I figured that out setting up using the USB and Coral Labs AB+ settings was pretty easy. It took me a few days of playing with it until I got the program set the way I wanted it. 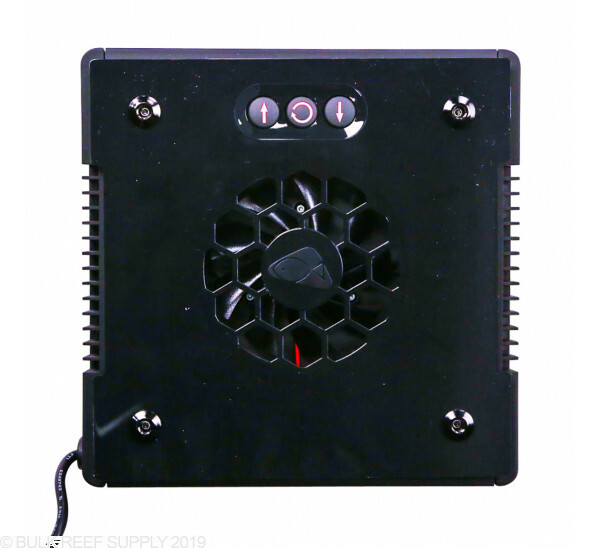 Ecotech is the "Apple" brand of reef aquariums, sleek, stylish, and powerful. But none of that matters if the lights are garbage. Good luck trying to get these to pair with your reef link. I have daily fights with my Vortechs' as well. I had a two year old G3 have a critical malfunction and Ecotechs' Customer Service was useless, "Just buy a new light" was basically their recommendation. 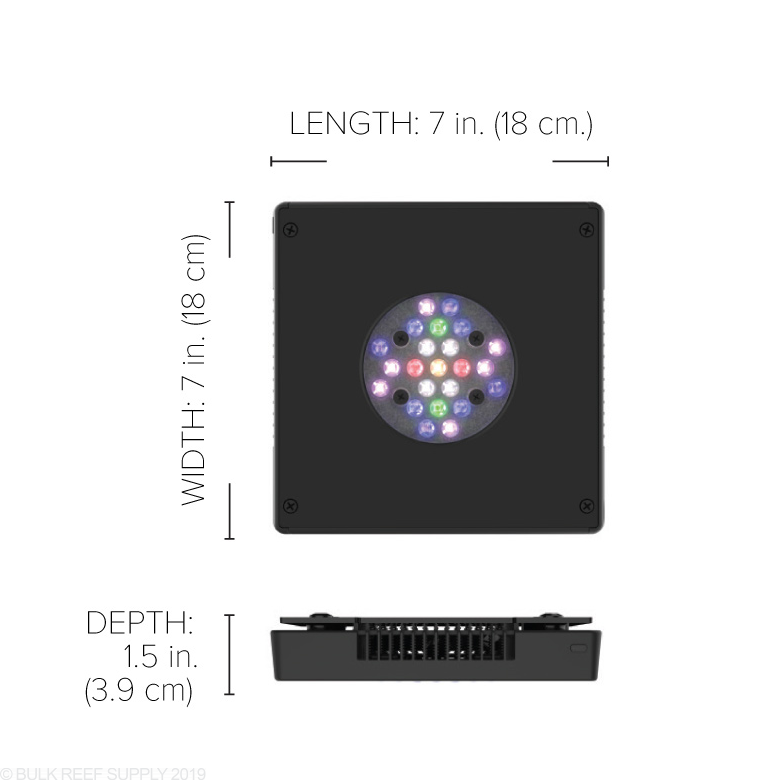 I am sorry, but if you spend $400 on a LED fixture, I expect the LED fixture to last. Which is the main reason I went with LEDs. I understand other people have better luck, not me I guess. Looking into alternatives. I nuked my tank with g3s but the coral lab project and g4 platform gives me knowledge as well as performance power. The information provided in the coral lab project empowers you to have an amazing reef. I am new to reef lighting but so far it is an amazing and I have no regrets. Easy to set up with reeflink and its all been a great experience. We have this over our frag tank in the office. It has great options once you start going through all the color profiles and setting up the automation. The lunar cycle is really cool. Not sure yet on how to get the thunderstorms to happen once in a while, but either way it is an awesome light. Easily covers the IM Fusion 20 gallon tank we have it over. Super simple and sleek looking with the echotech mount on my 60g rimless cube. The ability to adjust spectrum, intensity, and many other effects on this lights daily program is amazing. It's honestly what everyone wants in a light. It's SUPER nice to be able to control this EchoTech product without a Reeflink unlike other EchoTech products. 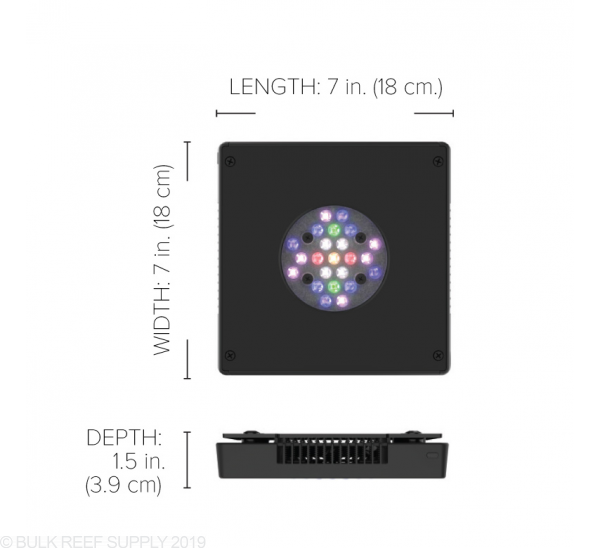 I'm new to reefing, so I don't have much to compare this to, but as a new reefer, I found the lights easy to use and program and my corals are growing well. Honestly, what else could i ask for? They have some fun (lightning and disco) but useless features that are great for showing off to your friends :) The programming is nice and versatile, but a little buggy at first. Once you play around with it, you get to understand where their web interface has issues and ways to work around it. It's honestly not a big deal, but as a programmer I want to go in there and fix it! I did have an issue in the beginning where the application wasn't recognizing one of the units but a phone call to support and they fix it within minutes. Their service is great. I know some people get upset at the fact that they have to call service to begin with, but it looks like in all the reviews service handles their issue well. I also love the fact that they have templates that come with the program. I remember feeling lost when I first started and then saw the templates and sighed a big relief! I wish they would add more templates to their vortechs next. Two small complaints, first the price and the price of the mounts. I feel a little ripped off that their mounts are so much money especially after spending so much on the lights themselves. 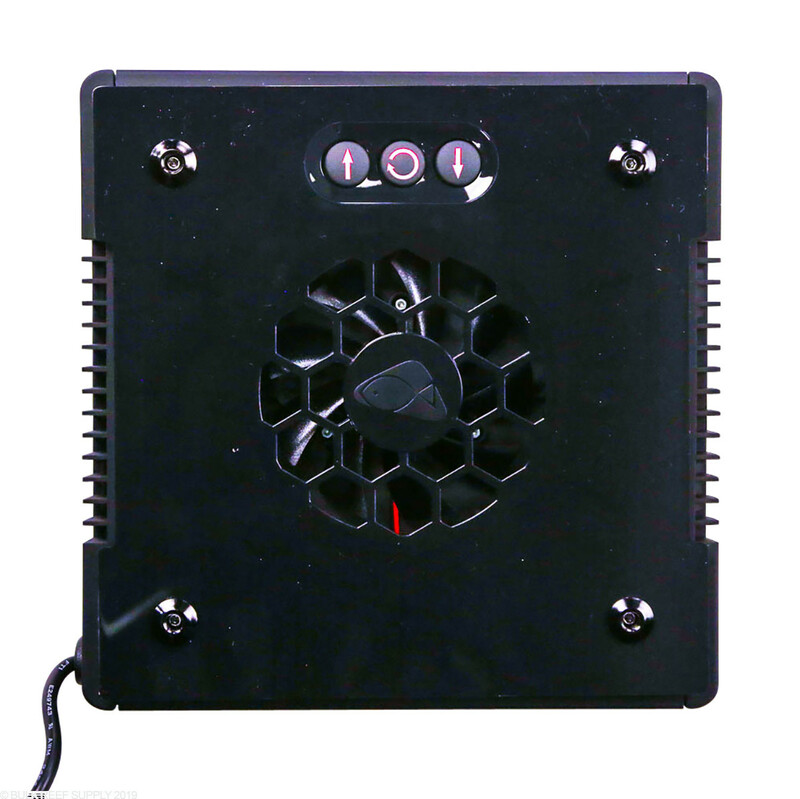 Second complaint is that the fans kick on more than I expected. Nothing bad, but I was hoping that at 50% usage they would never kick in. But being new to this hobby, maybe my expectations are not realistic. 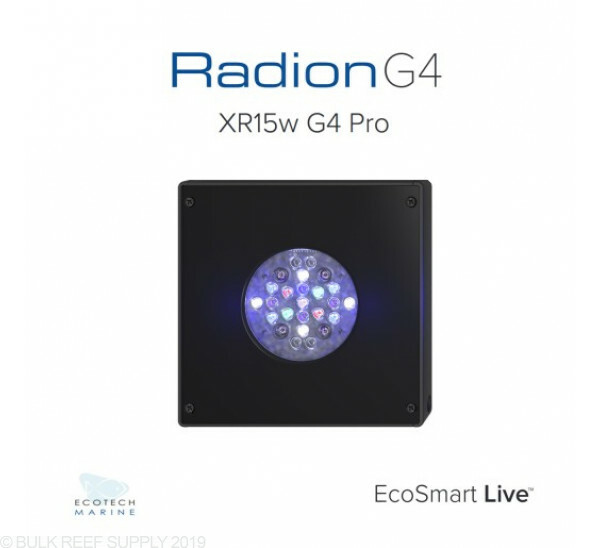 Hi, does the Radion XR15w G4 Pro LED Light Fixture come with a goose neck or a mounting fixture? 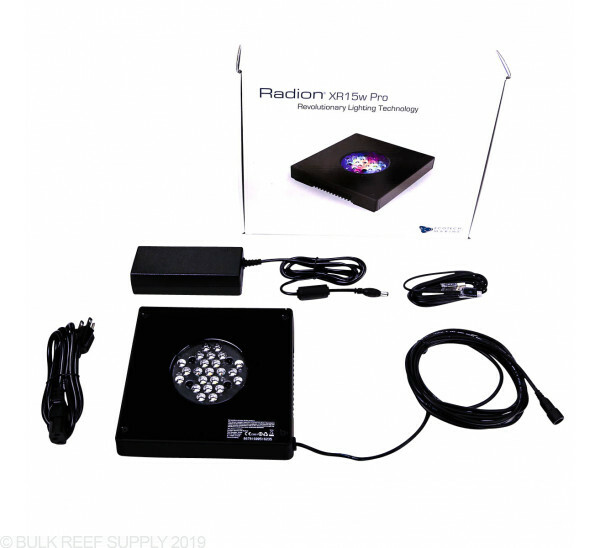 The mounting options for the Radion fixtures are sold separately. 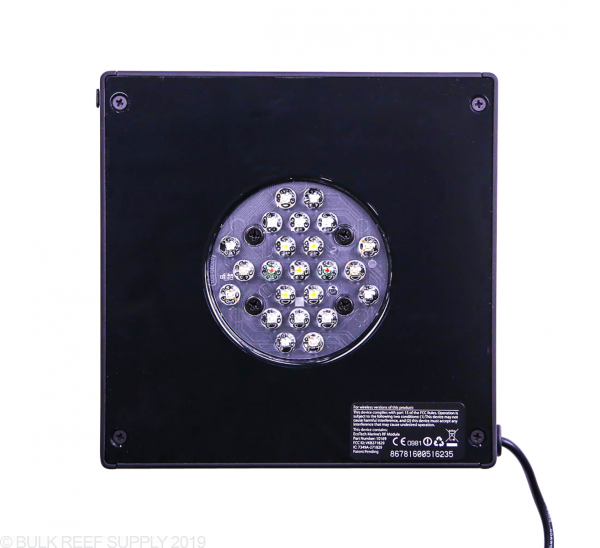 Currently they have the RMS tank mounts, light tracks, or hanging kit options available. I currently have XR15w G3 Pros on the RMS mounting arms. Will the new G4 fit on the same mounts? 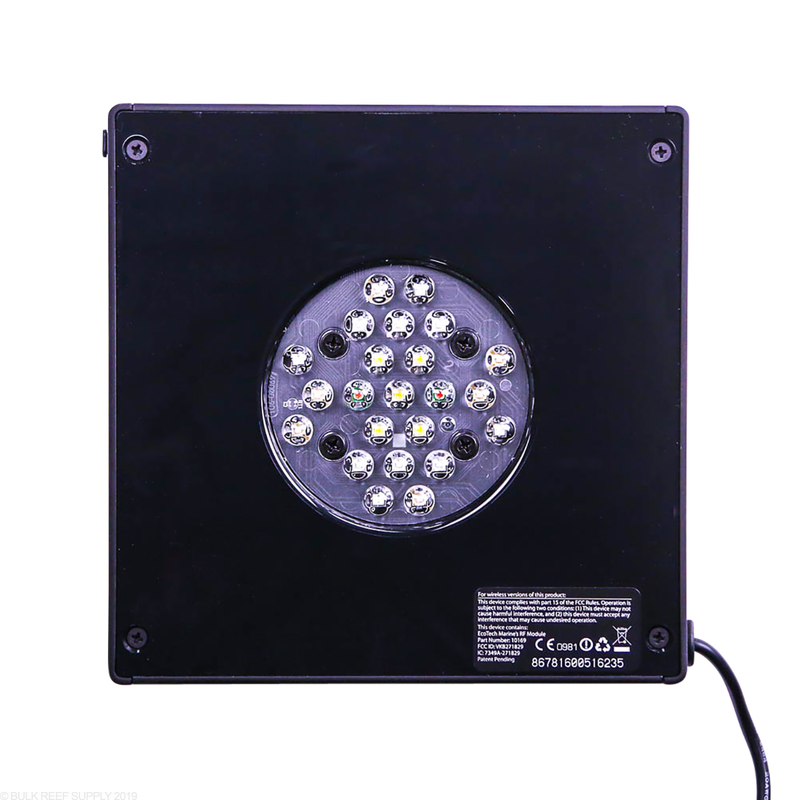 Ecotech is still using the same mounting options for the G4 lights, so your old mounts will work with the new lights! Does this light have a built in controller for the settings? Does it have a ramp mode for time scheduling? 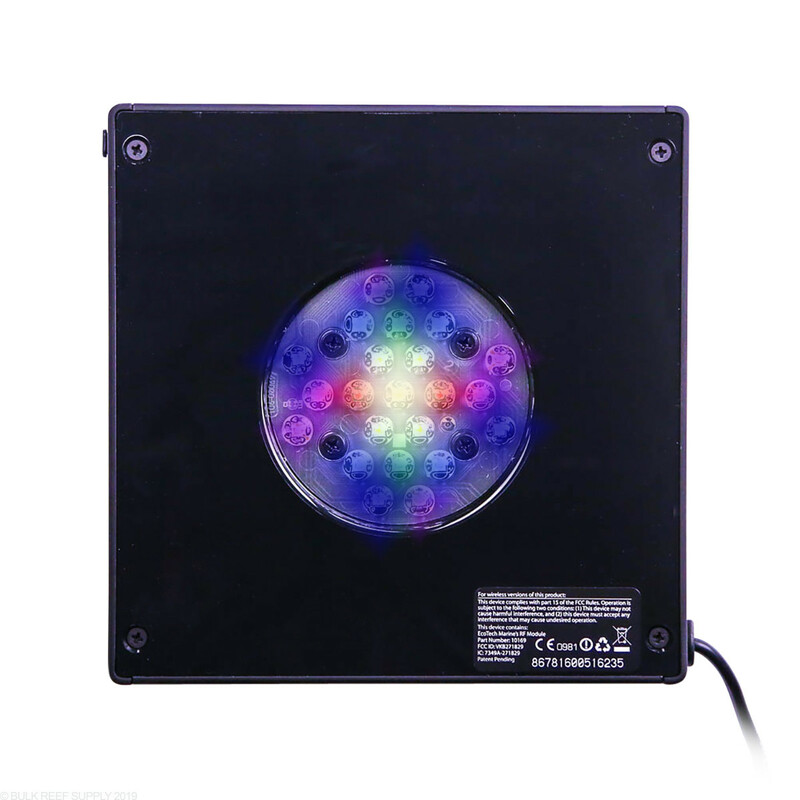 This light can easily be programmed using a computer and a USB cable, it does not have on board programming. You can also use the Reeflink to have a wireless connection to program the light cycle, including sunup/sundown. 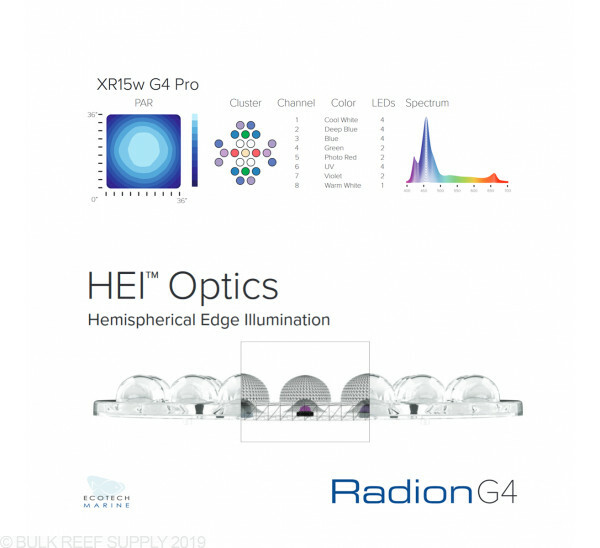 Hi, are the HEI Optics that come standard with this fixture the wide angle option? 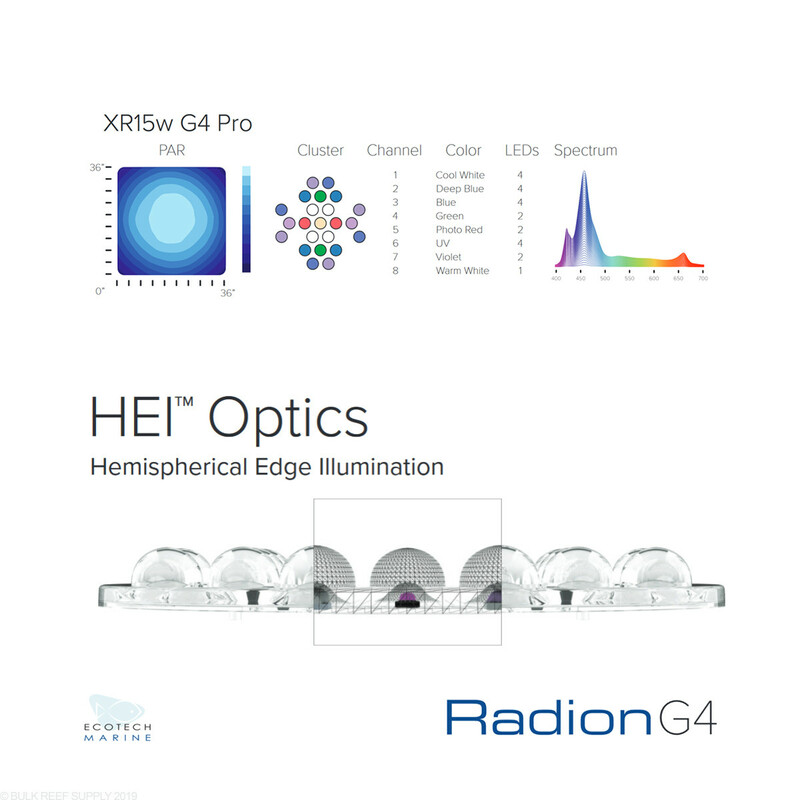 The Radion fixtures come standard with the wide angle lenses for maximum spread. 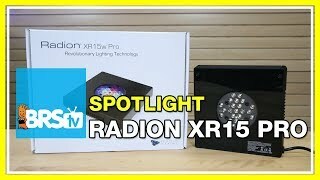 Are the hanging kit also comparible with the xr15w? 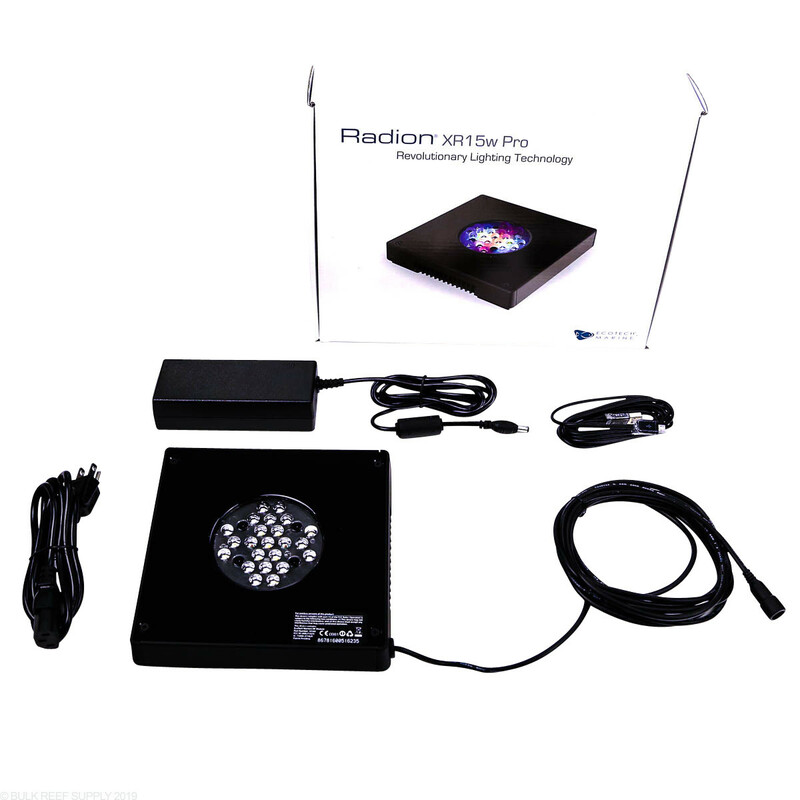 The Radion hanging kit will work for both the XR15 and XR30 models. 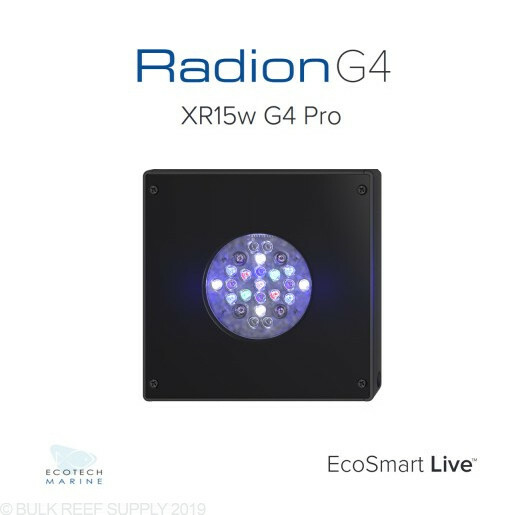 Do the lenses on the XR15 G4 pro blend the light sufficiently or would these lights benefit from the diffuser attachment for a mixed reef? I thought the diffuser was for the G3 lights.